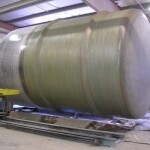 With the 2003 acquisition of an existing FRP Tank manufacturing company, Spunstrand® Inc. added significant large diameter filament winding capability, which enhances our product offering significantly. 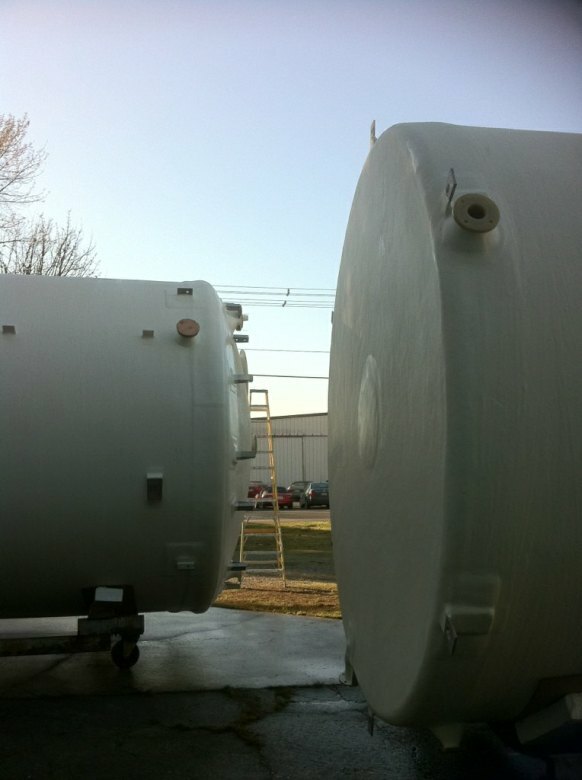 Spunstrand® Inc. now has a dedicated facility for manufacturing chemical and water storage tanks, carbon scrubbers and custom FRP products that will serve our primary industrial and municipal customers as well as emerging markets. 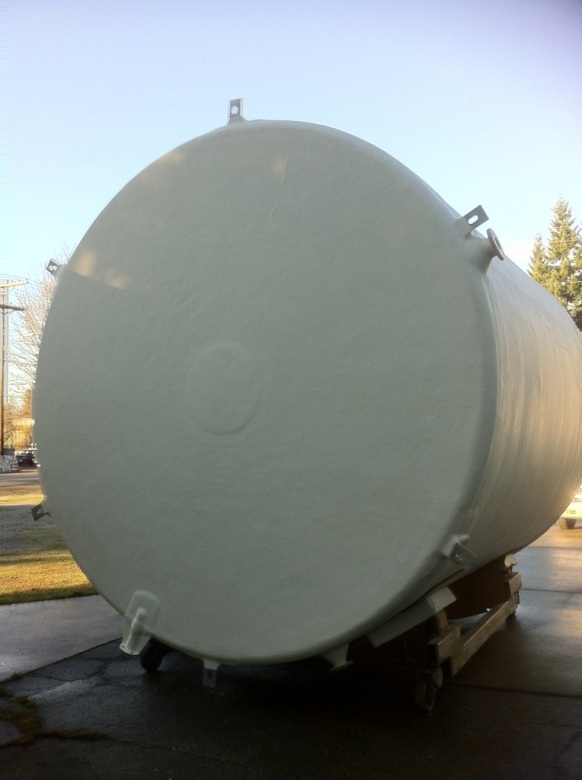 FRP tanks have a wide variety of applications, and the below list is only a small example of the many applications that should be explored. 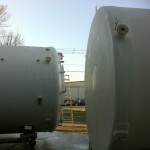 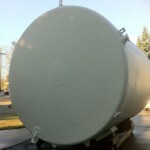 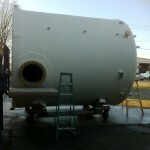 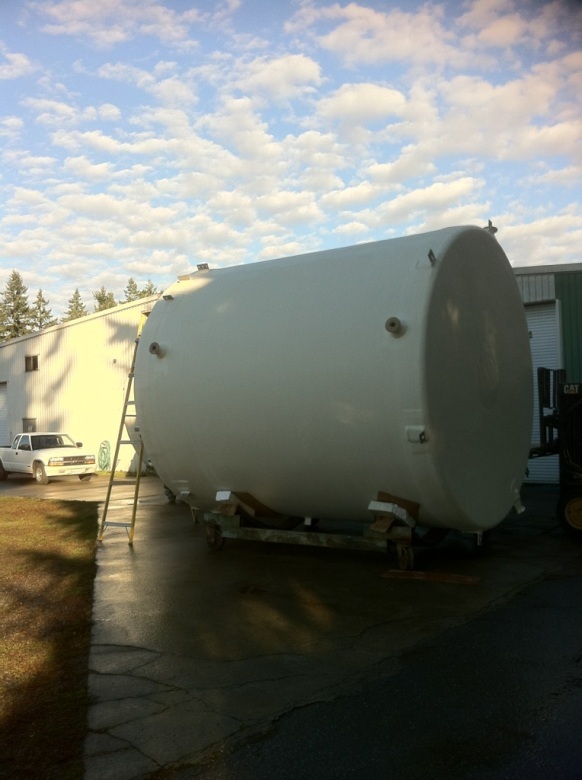 Our tanks are custom configured to our customer’s specific applications, including resin and liner recommendations, fitting locations and any other job-related needs. 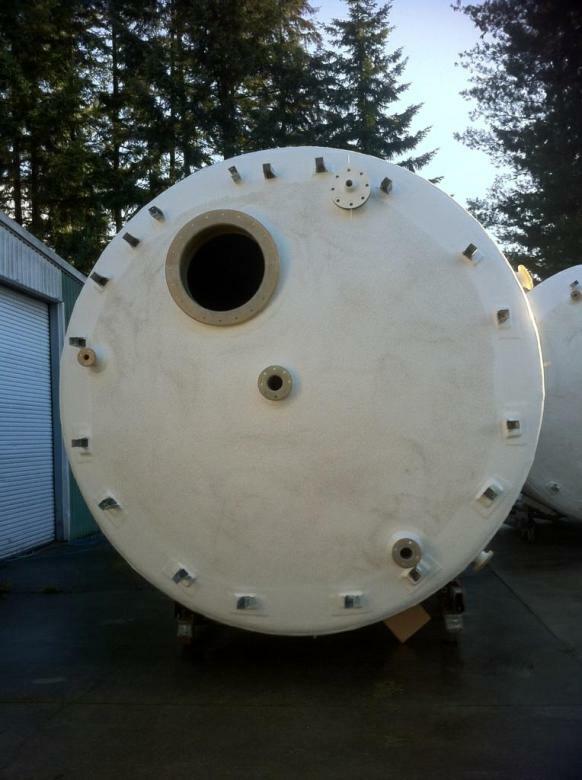 Available options include stiffening ribs for buried tank applications, insulated tanks, sloped bottoms, and any other customer exacting requests to best suit their application. 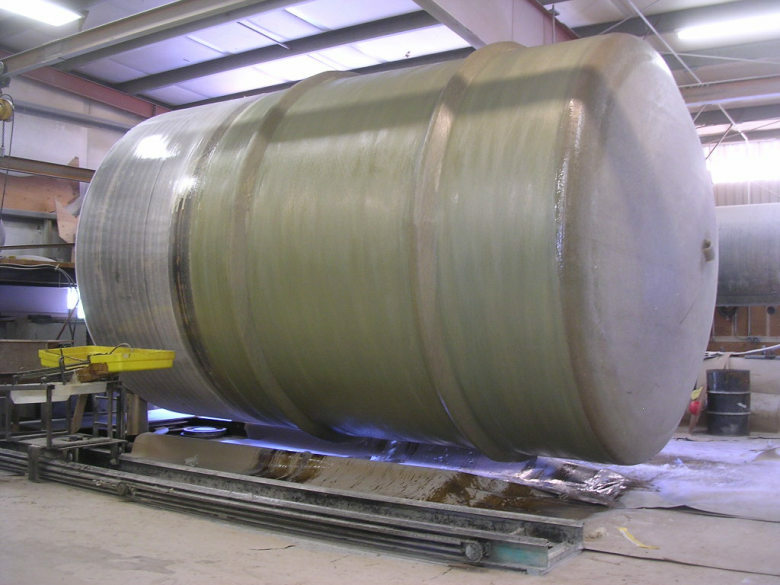 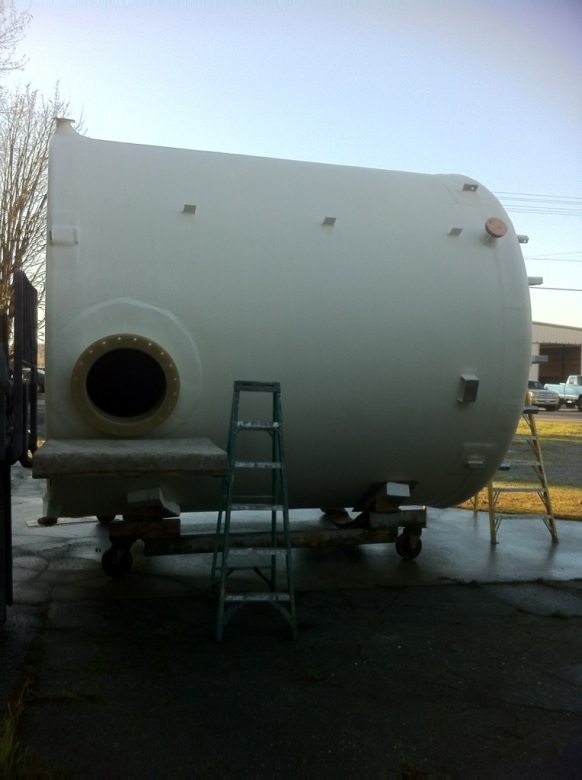 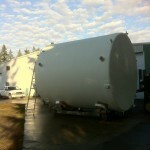 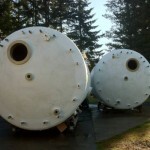 Our facility has a customized cantilevered 12’ diameter mandrel that allows us to manufacture this specific size of tank with the tank bottom and sidewall integrally molded for the highest level of corrosion resistance. 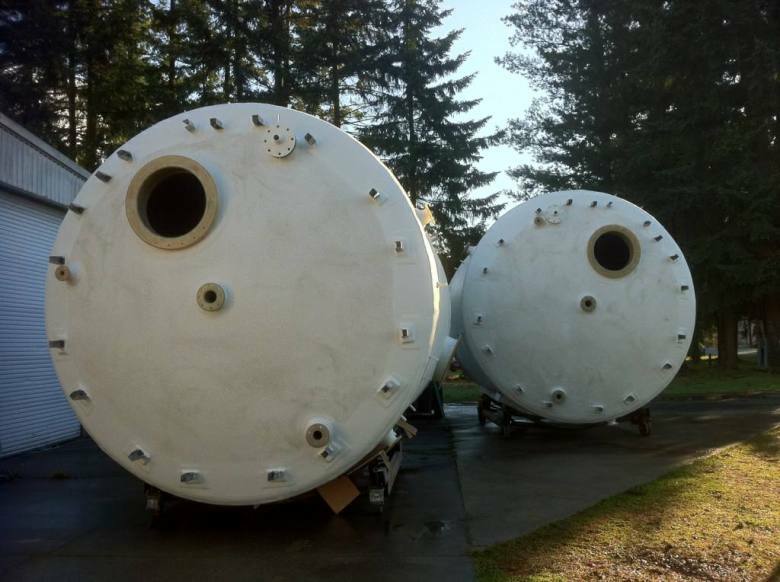 While this option is limited to this one specific size, it does offer a premium option for highly corrosive applications such as Sodium Hypochlorite storage tanks. 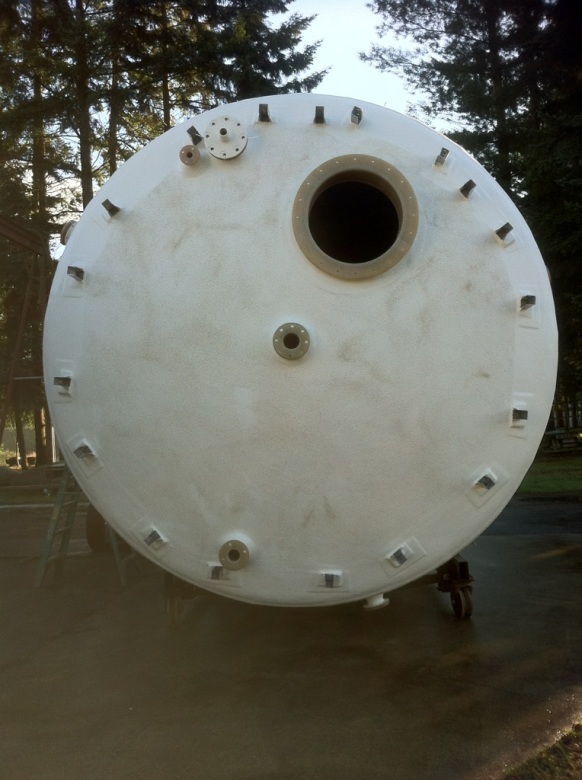 We also have special equipment that allows us to easily product tanks with a BPO/DMA curing system for applications where traditional cure systems are not recommended. 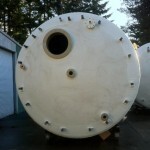 Spunstrand® Inc. has many other options available to match our customer’s specific needs. 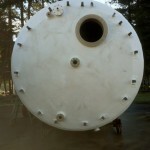 Please contact us for further information on your FRP storage tank application.